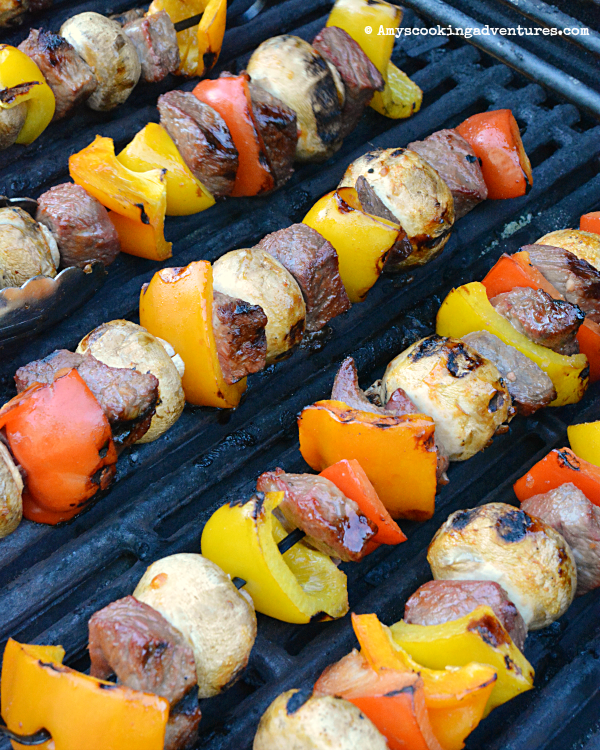 It’s Fantastical Food Fight time and it’s all about the summer favorite: Kebabs! I had scarcely had time to process the prompt when I took the kids and visited my parents for the weekend. My mom had just gotten a great marinade recipe from a friend, so she marinated and grilled chicken breasts (and they were fabulous) and mentioned that this was also great on steak kebabs. That was all the inspiration I needed! I made these less than a week later and they were so good! After marinating for two whole days, the steak bites are incredibly flavorful and tender. You can play around with your favorite kebab veggies, but I highly recommend bell peppers and mushrooms. They’re firmer veggies so they hold up to grilling nicely! Place the steak cubes in a gallon sized zipper bag. Whisk together marinate ingredients and pour over steak. Seal and refrigerate for 24-48 hours. Preheat the outdoor grill to medium heat. 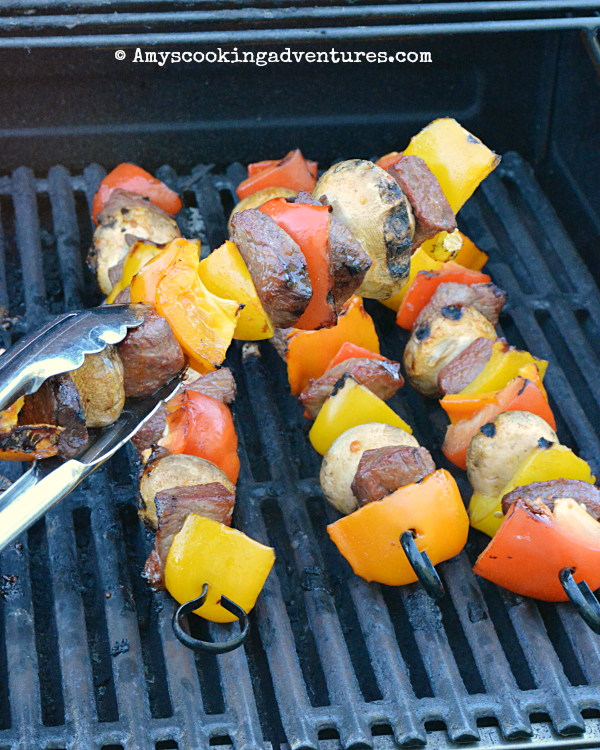 Thread steak cubes onto skewers, alternating with bell peppers and mushrooms. Cook to desired temperature and serve. 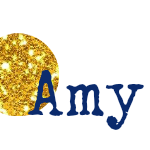 I love how easy these are! I can't wait to try these. This marinade is going on my to try list for sure. The marinade sounds AMAZING!! 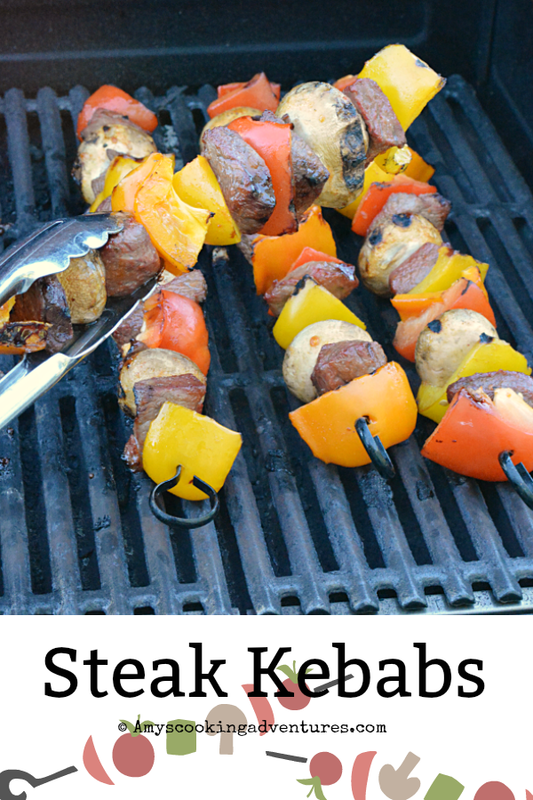 Can't wait to try this - I don't make steak kebabs enough!